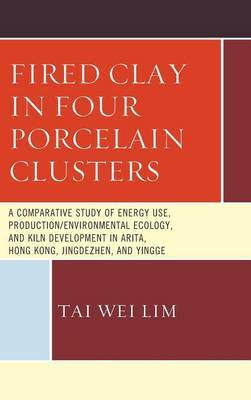 Fired Clay in Four Porcelain Clusters examines how energy use in the ceramics-making industry has evolved as a result of technological advancements and changing social norms and ideas in environmental conservation. Three main research themes are highlighted. First, the book examines how the evolving use of energy fuels has impacted the developmental history of the ceramics-making industry, especially with regard to productive output. The second theme focuses on energy use by networks of specialists and technicians in ceramics-making artistic clusters and how ceramicist communities in the world organize themselves institutionally to maximize resource-sharing. Third, at a cognitive level, the volume studies changes in production and design, environmental thinking, energy use, and aesthetic trends among ceramicists and consumers. The four cities or towns of Arita, Hong Kong, Jingdezhen, and Yingge are the settings for this research.